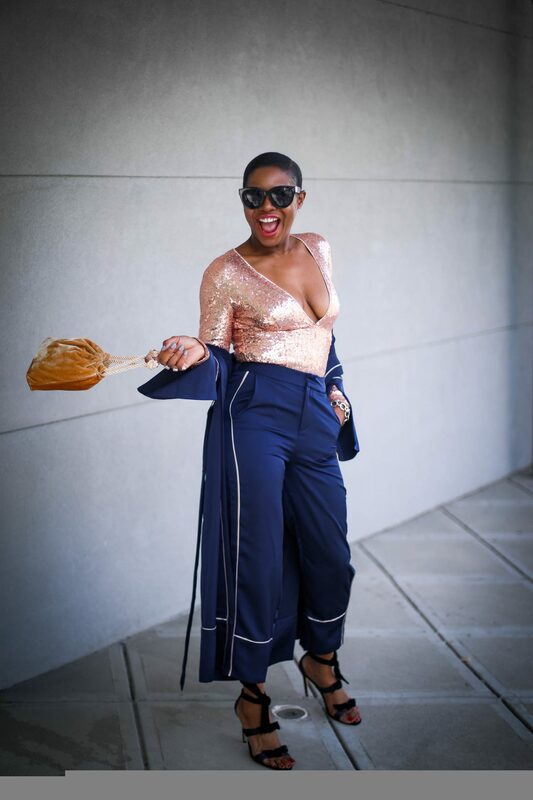 SEQUIN BODYSUIT SOLD OUT, LOVE THIS OPTION (HERE) AND (HERE) | PAJAMA JACKET AND PANTS: LADYBOUTIQUE | SHOES SOLD OUT IN THIS COLOR, ALSO LOVE THESE OPTIONS (HERE) AND (HERE) | BAG$19! 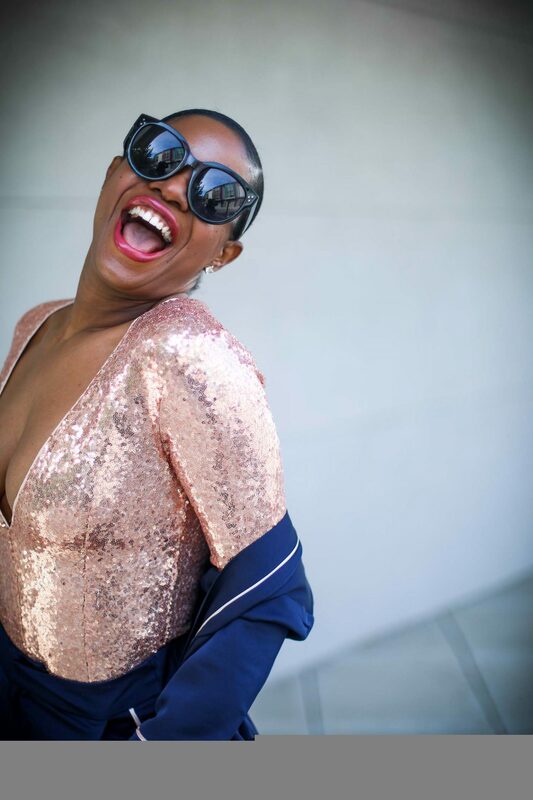 Invitations to holiday parties are literally coming in everyday, hence my new task has become looking for new ways to recreate outfits for these festive occasions. I love finding alternatives to the classic holiday dress. That is why I’m giving the pajama trend a holiday flare. This trend tends to resurface in various silhouettes. 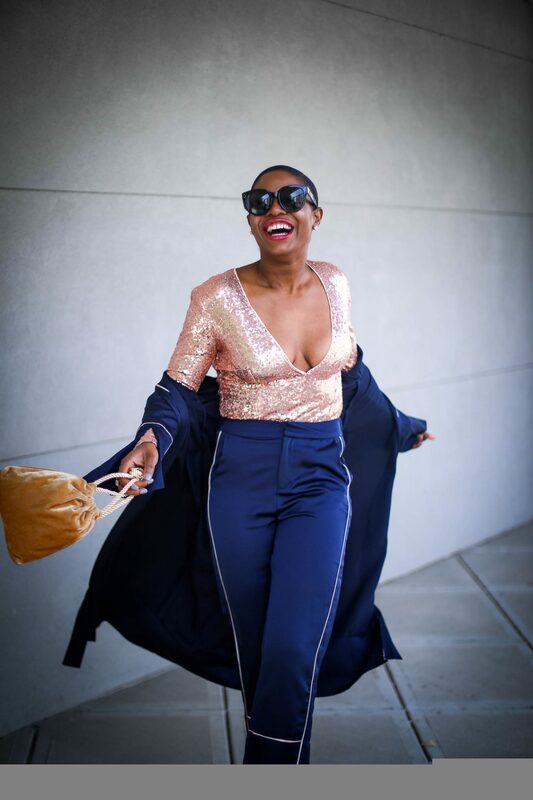 I love the style featured in today’s post because it is fashionable, chic, and also works well when worn separately. 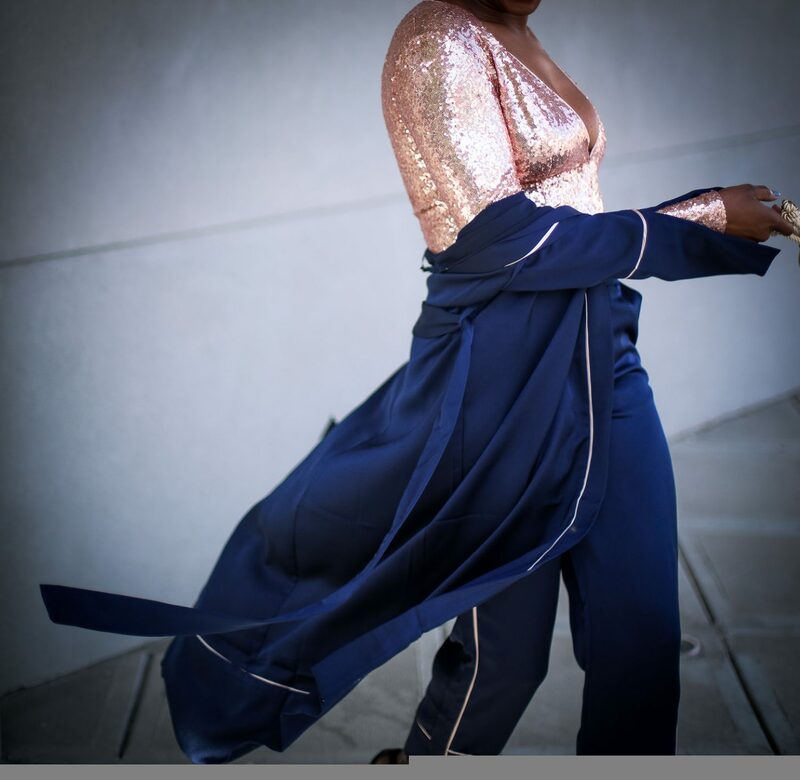 To give the pajama trend a seasonal flare, simply introduce vibrant holiday pieces to your outfit. 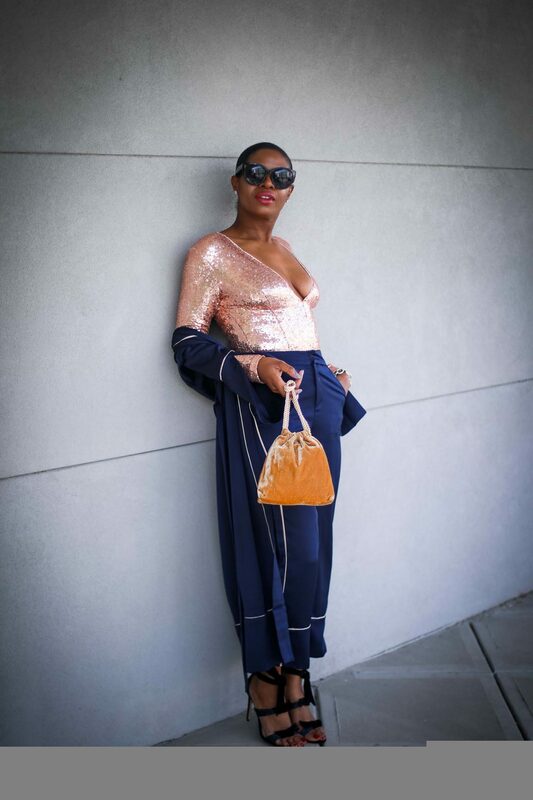 My Sequins top, velvet bag, and embellished shoes are all vibrant holiday pieces. These items add a festive flare to the look, making it the perfect holiday outfit.